Skeleton on the shield of a Harley motor cycle. 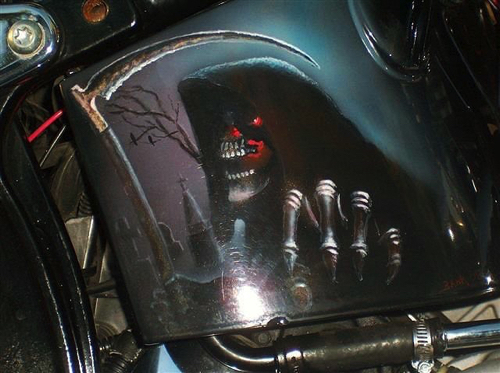 Raiders logo on the hood of a Chevy truck. Michael Lowell on the left, proud owner of the 55 Chevy, and a trophy for best 1950's vintage antique car at the 2008 Bonny Eagle car show. 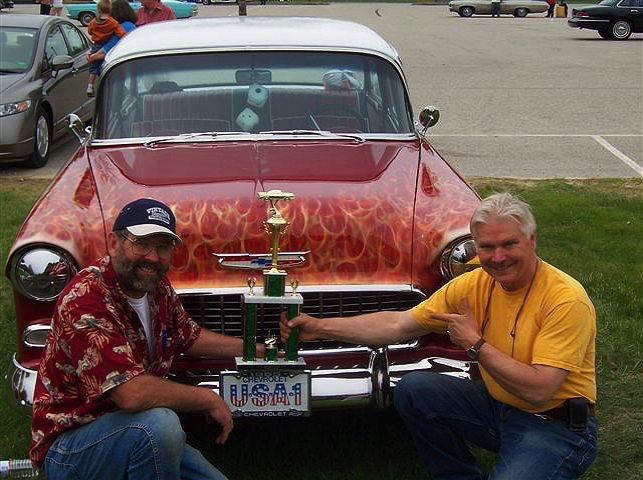 Artist Gene Bahr on the right. 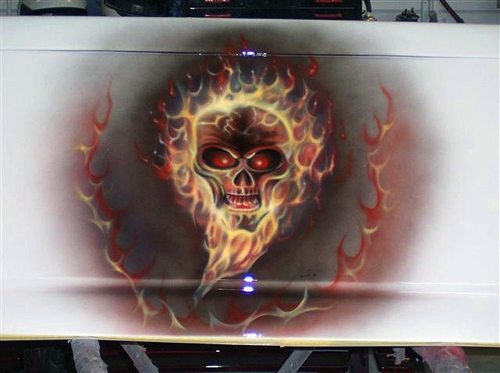 A flaming skull on the tail gate of a pickup truck. 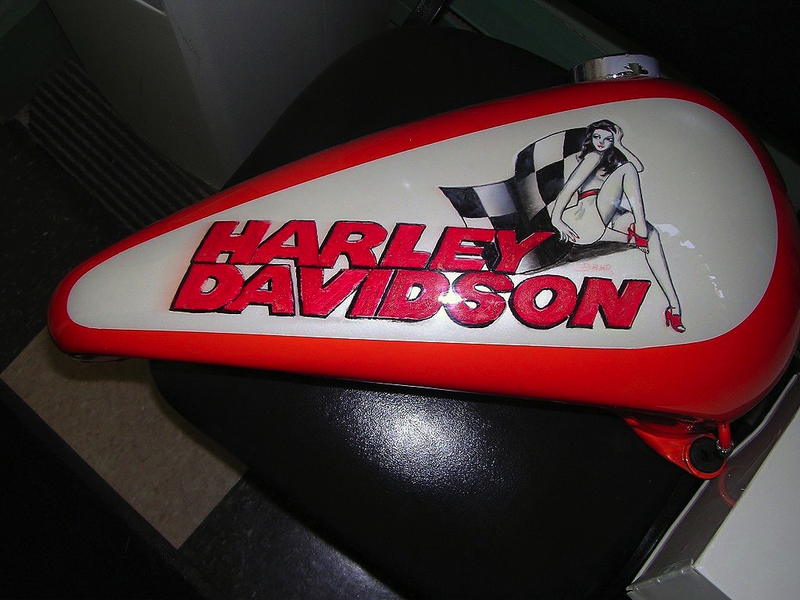 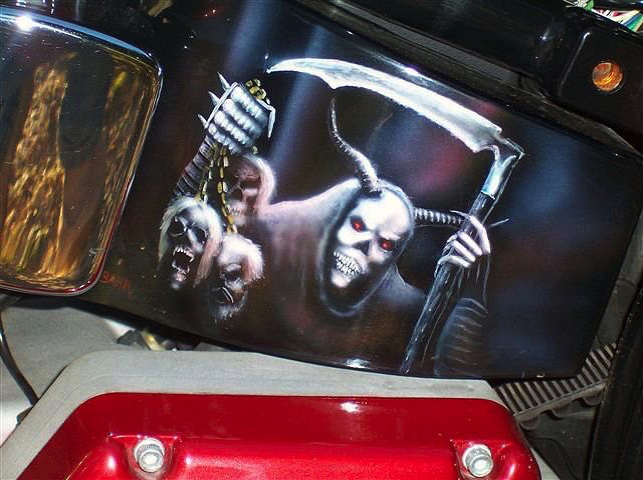 A skeleton painted on a Harley gas tank. 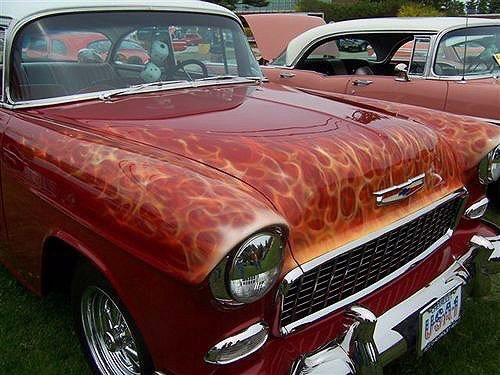 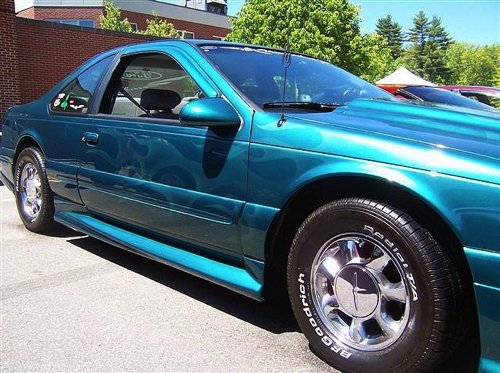 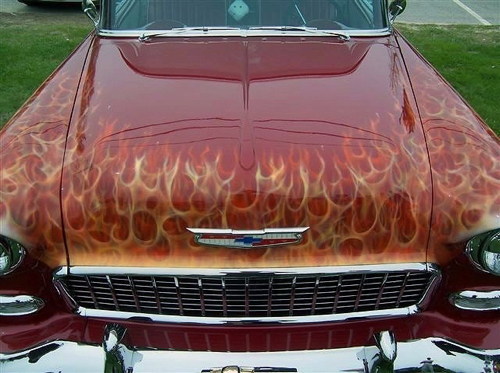 Ghost flames on a 1997 Thunderbird. 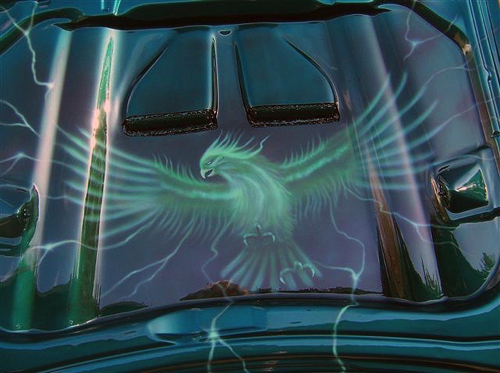 A Thunderbird under the hood of a 1997 Ford Thunderbird.